The GOP-controlled Congress has quietly renewed the EB-5 visa program which allows foreigners to effectively buy U.S. citizenship. “The EB-5 regional center program has been plagued by fraud and abuse,” said Iowa Republican Sen. Chuck Grassley, according to the Washington Times. “It poses significant national security risks. There are serious allegations that the program may be facilitating terrorist travel, economic espionage, money laundering and investment fraud,” he added. The program is “riddled with flaws and corruption,” Grassley has charged, and even allows dangerous operatives from Iran to come to the United States by pretending they want to invest here. The program appears to be most frequently used by wealthy Chinese seeking a foothold in the United States. In 2014, China-born investors took 9,128 of the EB-5 visas issued that year, which is 85.4 percent of the 10,692 total, says one report. Under the EB-5 visa scheme, wealthy immigrants first promise to invest in the United States, and then receive permanent residency and the subsequent opportunity to become citizens. 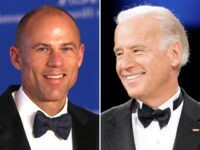 Prominent Democrats, including Clinton ally Democratic Virginia Gov. Terry McAuliffe and retiring Senate Minority Leader Harry Reid, intervened to get EB-5 visas fast-tracked for certain wealthy foreigners. 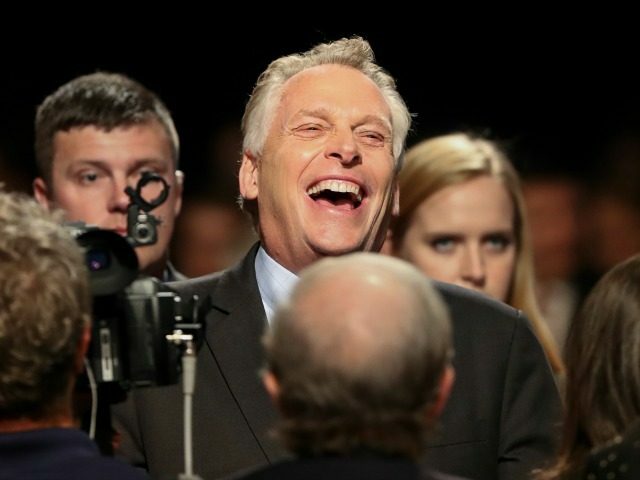 For example, in 2009, McAuliffe, then chairman of the electric car company company GreenTech Automotive, pressured Obama’s then-United States Citizenship and Immigration Services (USCIS) Director Alejandro Mayorkas to prioritize EB-5 visas so Chinese investors could give money to GreenTech. Their allegations were unequivocal: Mr. Mayorkas gave special access and treatment to certain individuals and parties. They told us he created special processes and revised existing policies in the EB-5 program to accommodate specific parties. According to the employees, but for Mr. Mayorkas’ actions, the career staff would have decided these matters differently. Employees felt uncomfortable and pressured to comply with managers’ instructions that appeared to have come from Mr. Mayorkas or those working directly for him… Many employees concluded, not unreasonably, that the pressure exerted on them was because the individuals involved were politically connected. Mayorkas, who later served as Deputy Secretary of the Department of Homeland Security, resigned in October. Clinton supporter and Islamic law advocate Khzir Khan has also worked an an immigration lawyer, at the Washington, D.C. law firm Hogan Lovells, LLP, which for years represented Saudi Arabia’s government and dealt with the Clintons’ taxes. Khan worked for clients trying to land E2 and EB-5 visas. The EB-5 visa program is a “ludicrous” means of allowing foreigners entry into the U.S., one critic charged. “If you want to find a real scam involving a country that sells citizenship to foreigners, you don’t need to look overseas,” University of Chicago Law School professor Eric Posner argued in Slate. “Here at home we do just that with a ludicrous program for ‘immigrant investors.’ It’s the worst combination of bad economics, political cronyism, and unfairness,” he wrote. The minimum required investment is not a “price tag,” Posner says, because the wealthy foreign investors will likely get most of their investment back. Also, foreign scammers have used EB-5 visa program to “defraud hundreds of investors out of tens of millions of dollars, from San Francisco to Chicago, by dangling a chance at U.S. residency,” according to the New York Post. There is virtually no verification of the investors’ promised investment, or enforcement if the investors do not follow through.